Hanukkah starts on Wednesday night. I wanted to share a few Hanukkah links to get you in the mood. 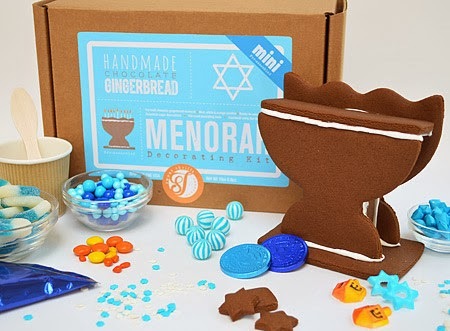 Check out this gingerbread menorah from Sweet Thrills Bakeshop started by two Bay Area moms. Unfortunately they're sold out right now (I should have posted sooner!) but maybe you can try making your own this year, and get on their email list for next year. 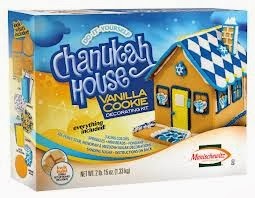 Manischewitz got into the gingerbread house game this year, making a Chanukah House out of vanilla cookies. You can decorate it to look Jewish. They're $18 at Amazon. Looking for some Hanukkah printables? 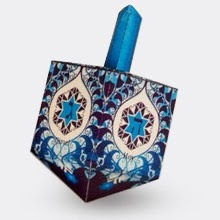 Look at this gorgeous Hanukkah dreidel box. 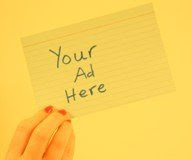 Get the printable for free on Snapfish, at the bottom of the page. Looking for some simple Hanukkah crafts to do with the kids at home or school? --These easy Hanukkah dreidel cookies are simple to make out of Fig Newtons. They've been popular on Frisco Kids. 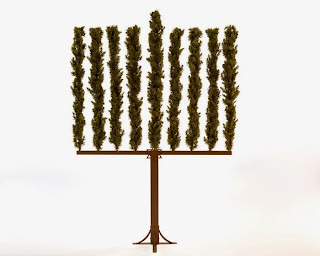 I saw this Menorah Tree recently. To be honest, I find it horrifying. 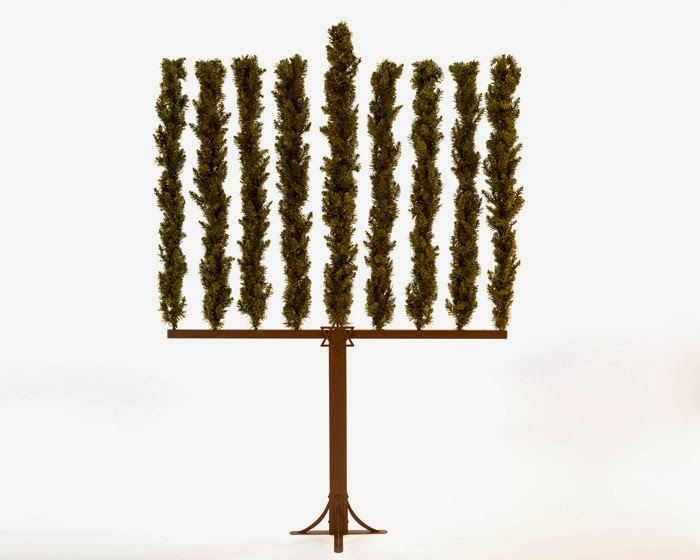 Leave Christmas trees to those who celebrate Christmas. And get a menorah that doesn't say "Christmas."